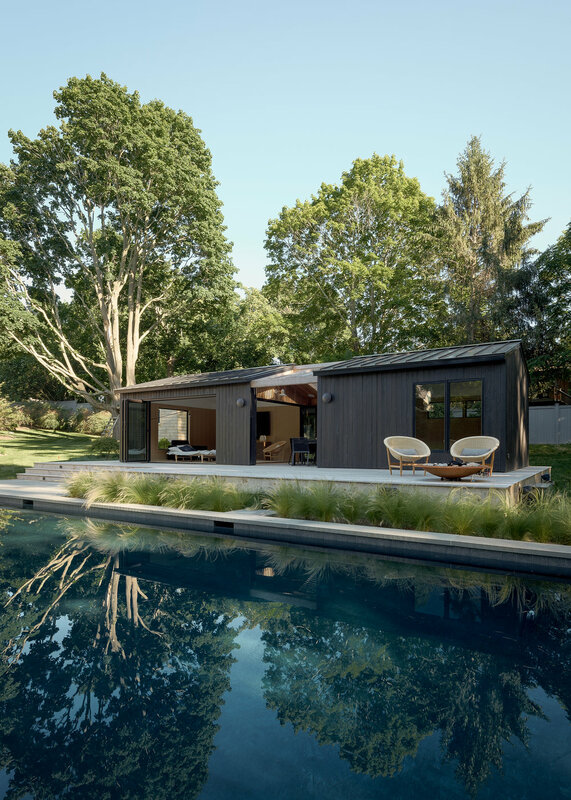 The pool house was designed as a retreat and relaxation space for a busy mother and daughter duo. 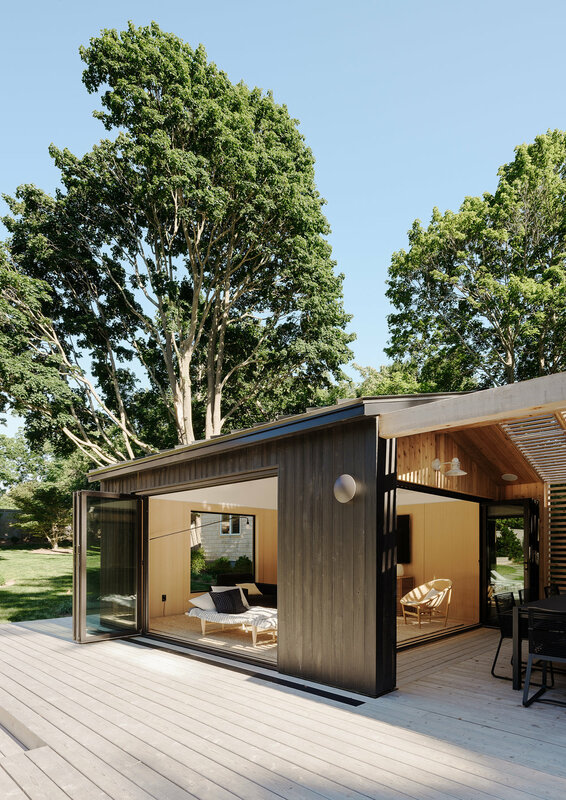 The footprint of the building is minimal - large enough to entertain some guests, but small enough to remain intimate when just two or three people are using the space. 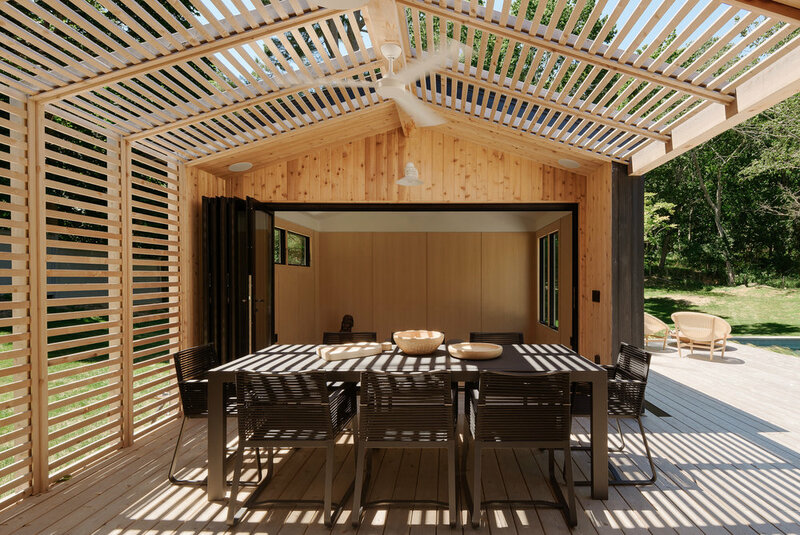 Divided into three areas, ranging in size and exposure to the outdoors, the building houses a living room, dining space and yoga / meditation room. The design of the space is based on a series of contrasts. 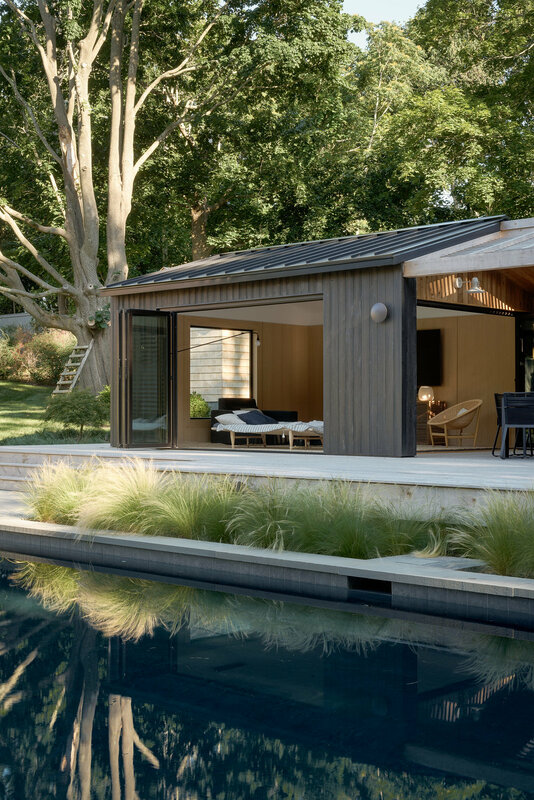 Enclosed and open spaces. Dark and light. Private and public. A simple space, with a simple concept. 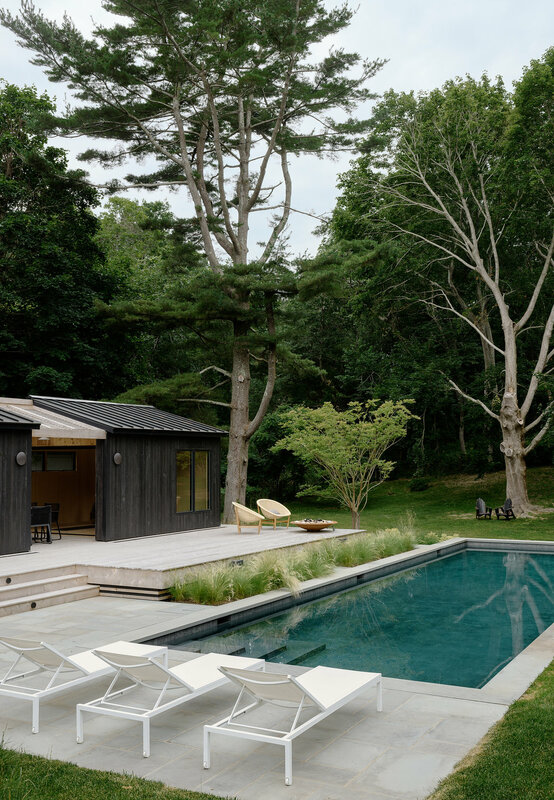 As a result, we knew early on in the design process that we wanted a very dark exterior to contrast the light wood trellis structure, decking and interiors. 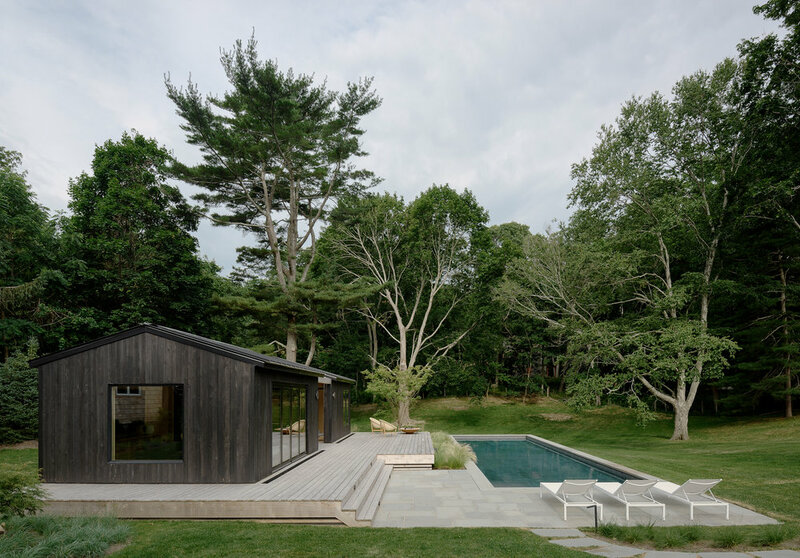 It was important to keep the materials natural and in tune with the surrounding landscape. 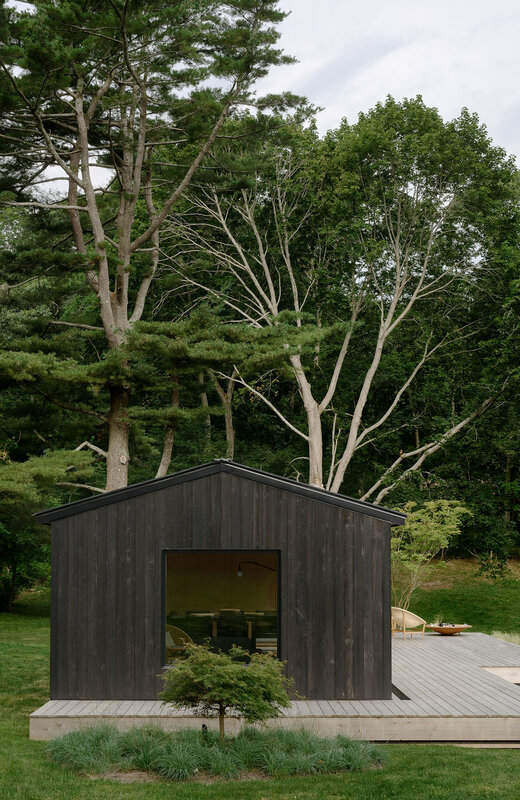 The shou sugi ban charred cypress provided the contrast that we were looking for, and the texture of the material played beautifully with the varying natural light throughout the seasons in the area. We look forward to watching this building age into the surrounding landscape and provide a space of escape for years to come.